CardioQ is a ultrasonic blood flow meter that measures blood flow status directly according to the patient’s central blow flow and waveform using esophageal ultrasonic waves during operating, and responds to the change immediately. The Real-Time Monitoring : it can detect any small change in circulating blood flow and respond to the change of stroke volume and cardiac output quickly. Non Invasive Method : Using non-invasive method, it is no harm to the patient. 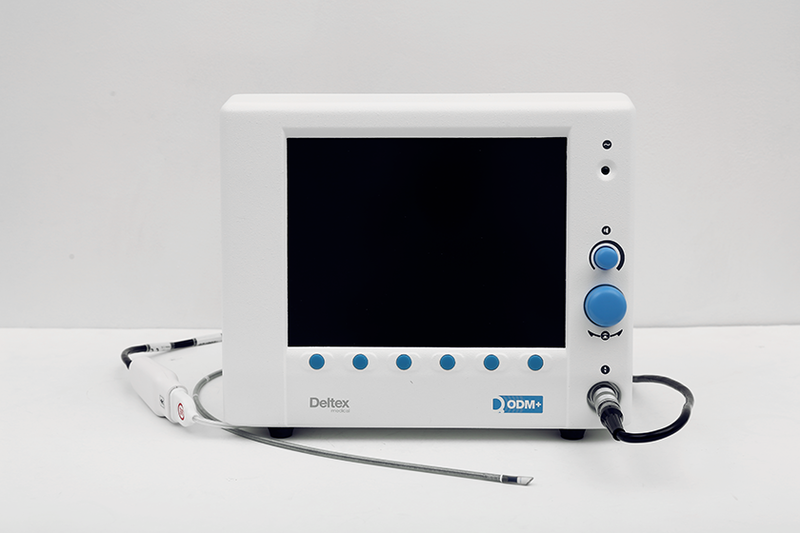 Easy to use : With esophageal ultrasonic wave doppler, it can be inserted easily through nasal cavity or oral cavity and check the optimal position with sound and wave. Calibration function : If a user wants, he can switch between flow mode and pressure mode alternately. It can detect hemodynamic changes rapidly even in pressure mode through calibrating based on the blood flow data. For adult use in operating theatre and critical care. Managed care service and rental option available upon request. patients under anaesthesia or full sedation.